The European Parliament voted on March 26th this year in Strasbourg in favour of abolishing the bi-annual change in clock time. From Saturday 30th to Sunday 31st of March 2019, the clock will move forward by one hour to Central European Summertime, but from 2021 the parliament will no longer want these changes to take place. Member States can now opt for a permanent Central European Time or Central European Summer Time. 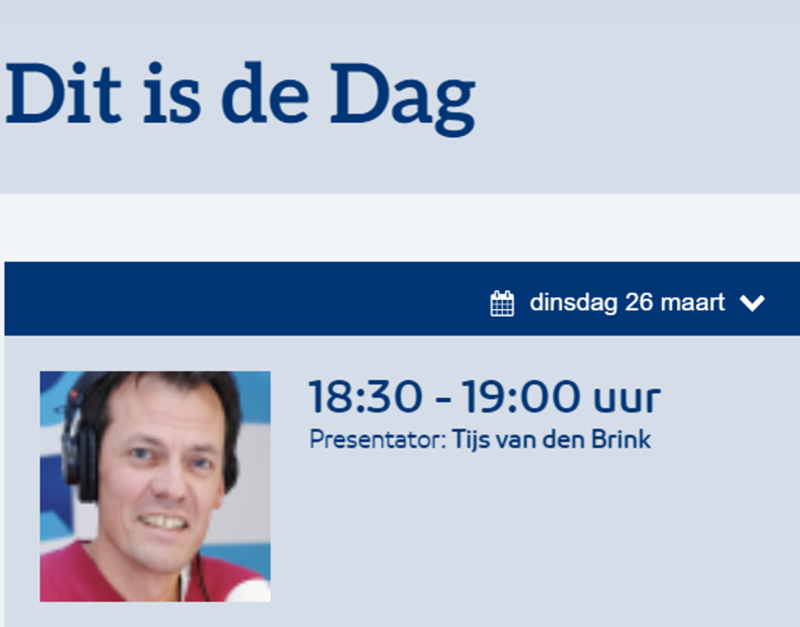 On March 26th, 2019, in the NPO1 program “Dit is de dag” of Tijs van den Brink, Marijke Gordijn engaged in a discussion with Winand Quaedvlieg from VNO * NCW about what time to choose. The radio interview can be heard here.